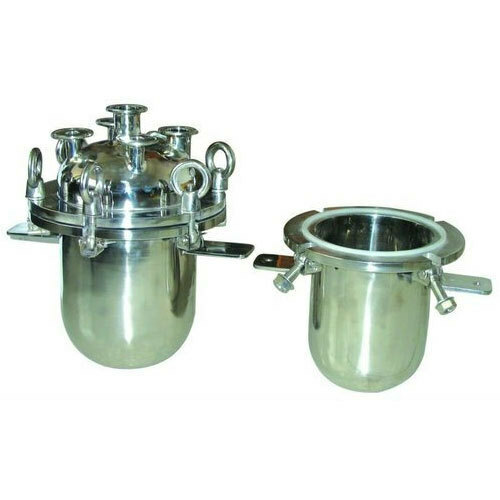 We are offering these SS Reactor Vessels in many sizes and shapes. These vessels are leak proof in working and completely safe to use. Established in the year 2002, Yash Engineers is amongst the pioneer enterprises if the industry remarkably involved in Manufacturing and Trading a comprehensive compilation of products including Rapid Mixer Granulators, Double Cone Blenders, Vibro Sifter and much more. Manufactured making use of premium quality factory inputs under the direction of qualified personnel of our team using advanced and sophisticated technologies, these offered products are highly recommended Moreover, these are accessible in a number of stipulations and altered options with us in order to attain high level of customer satisfaction and trust.